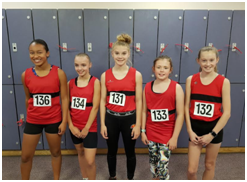 M&M athletes competed in the first Sportshall competition of the season on Sunday 7th October in Tunbridge Wells. There is now a new format to Sportshall which means each meeting is now part of a league so all these results will contribute to the final results. 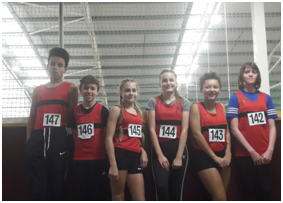 There were about 70 PBs on the day between the athletes with many competing at Sportshall for the first time. The U13 Girls saw Megan Currier 4th after all five events with a second place in the vertical jump. Emily Moyle, Ruby Towler, Evie Cameron and Eleanor Watson all performed well. The U15 Girls saw Annaleise Kerswill in sixth place after all five events, with a second in the vertical jump and third in the shot. Mia Franklin, Amy Jukes and Daisy Spencer all performed well. 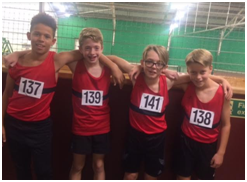 The U15 Boys saw Kai Prendergast in second place after all five events and was second in four of the five events individually. Jamie Pearce came 4th after all five events and was first in the speedbounce.